I know why you’re here. You want to create your online e-commerce store and start selling online. Or you’re not satisfied with your current solution and looking for the perfect eCommerce platform to migrate to. And you know what? It’s the right place to get all the information needed. You want to find the perfect platform: not too costly, without transaction fees, with free support and a wide range of templates, preferably some of them should be free, easy to customize, easy to navigate, etc. 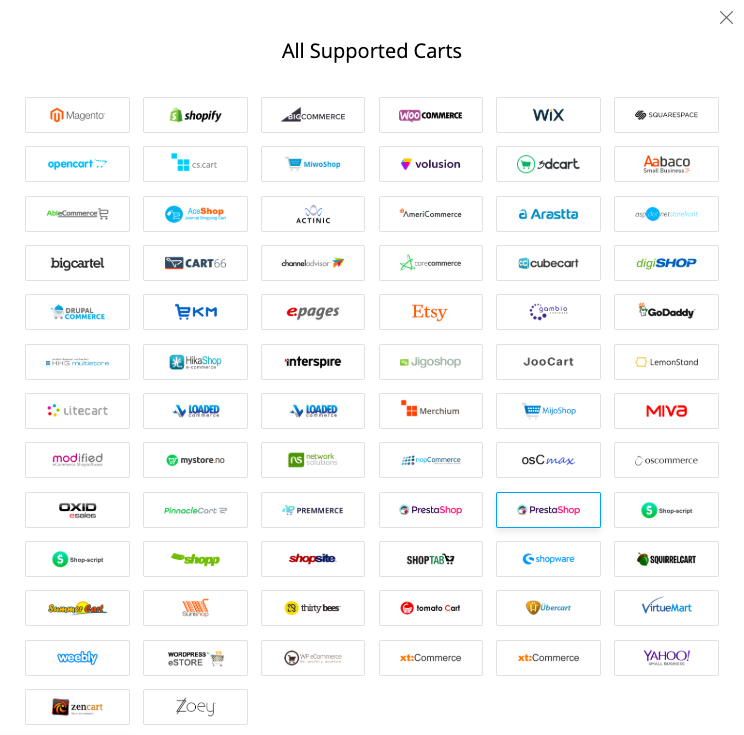 Here you’ll find out what e-Commerce platforms are hosted or self-hosted (or combined – like X-Cart), what the pricing plans are, what kind of support the platforms provide (if they provide it at all), what online store builder has the biggest variety of themes and which of them is free. Read on and make the right choice you will never regret. 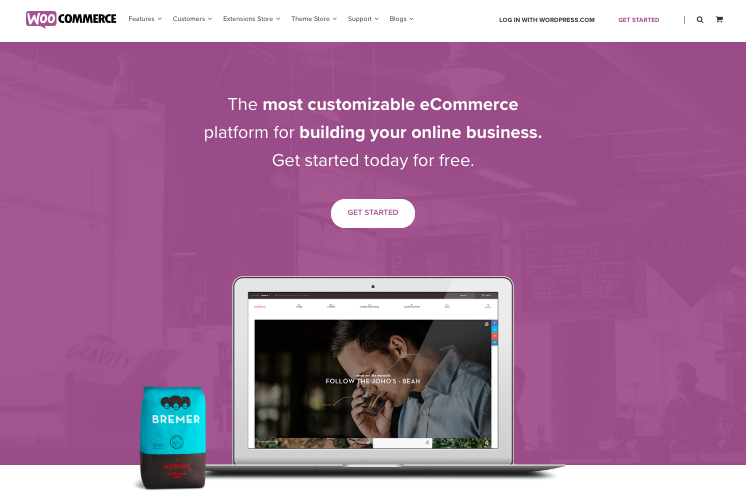 Volusion is a hosted e-Commerce website builder – it runs in a browser and you don’t have to install any software. So you can start a store from any device, from any place with access to the internet. Volusion is a SaaS solution and you pay a monthly fee to use it. So, you have the tools to create and maintain your online store: hosting, support, themes, etc. In other words, you don’t need to be tech-savvy and you still can create an online store. In other words, even if you’re not tech savvy at all, you can still create your own online store. And some good news: if you pay annually, you can save up to 10%. A 14-day free trial is available. You get ratings and review feature built in, so you’ll gather your customers’ feedback easily. Directly fine-tune your storefront from any page with Rich Content Editor. Take your store wherever you go with the free mobile app, which has all the tools to keep things running smoothly. Volusion offers 35 payment options that are the perfect fit for small business owners. There’re top payment processors that you can easily integrate into your store. Not all the templates are responsive, which will most likely deprive you off around 60% of sales in 2019. Volusion itself doesn’t charge transaction fees, but the gateway you use will. Processing fees starts from 2.15%. There’s an app store and it surely growing but not as fast as your business needs might grow. Although I must say it’s rather Volusion’s pro because this behavior was implemented for security reasons. You will not want anyone to access your store’s backend if you accidentally forget to log out. When you’re trying to add or change something in the ticket it refreshes. Just imagine: you’ve spent some time to describe the ussie in every detail and you have to start from the very beginning again. It takes time, too. Mobile phone functionality doesn’t have a search field. It looks like a bug to me and Volusion’s clients complain, too. Maybe they did it on purpose but I don’t see why. After all, how are you supposed to find anything in a store that has no search? Can you imagine finding something in this kind of store? I think it’s possible only if you don’t work and don’t have a family and there’s nothing else to do. 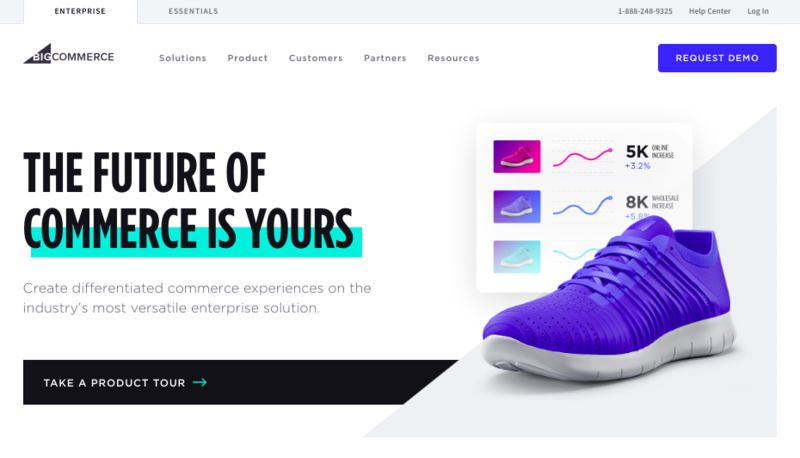 BigCommerce is a paid hosted e-commerce solution. 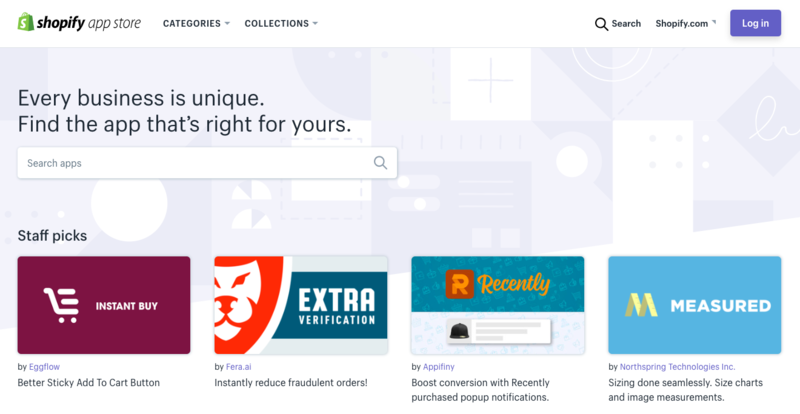 BigCommerce is a SaaS product which means you don’t own the software, but you pay a monthly fee to use it. BigCommerce has many customizable templates. The software is simple enough to use but it also allows tech-savvy users to tweak HTML and CSS code. Bigcommerce “Enterprise” pricing varies depending on your business requirements (2.2% + $0.30 or lower per transaction). A 15-day free trial is available. 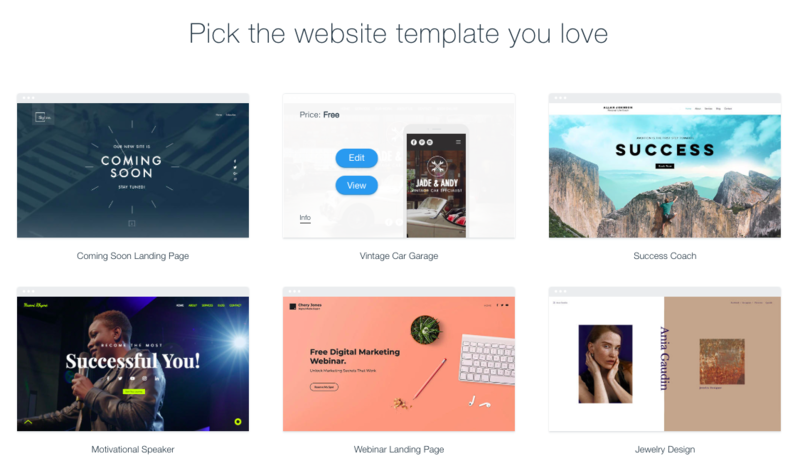 here are a few free templates – 7, to be exact, but it’s still better than nothing, right? You also can tweak a free template the way you need. Or hire someone to do it for you. There are paid templates, too. They usually have more functions. 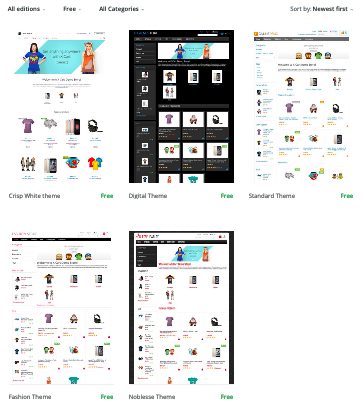 Every template has a preview that will show you how your online store might look on a desktop or a mobile device. A free 15-day trial is available. Just enough time to play around and see if it’s good enough for you. BigCommerce support team is ready to answer your questions and solve your problems 24/7 via phone, email or chat. Support is included in the price. BigCommerce provides integrations with a wide range of payment solutions. Automated image optimization can speed up your web pages and improve search rankings. BigCommerce has integrations with the following email marketing services: MailChimp, Constant Contact, iContact, Interspire. 90% of platform data is exposed to APIs, which means its basic functionality can be extended with various integrations. You will not have to upgrade anything yourself though, they will just start to bill you accordingly. BigCommerce doesn’t have a mobile app that you could use to manage your store on-the-go. 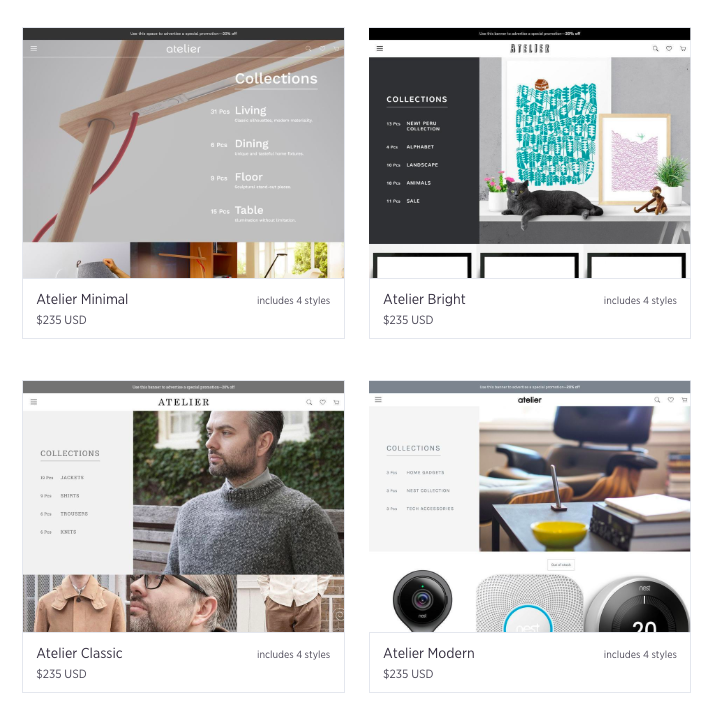 Premium BigCommerce themes may cost you $200+ for a piece. Some of the advertised features are only available to users from the United States. WooCommerce is an open-source self-hosted eCommerce plugin for WordPress. It adds an online store functionality to your existing WordPress site. Both WooCommerce and WordPress are open-source free software. However, there’re some costs to consider when you’re starting your WooCommerce online store. But! The good news is that you can control the expenses and decide how much you’re ready to spend. 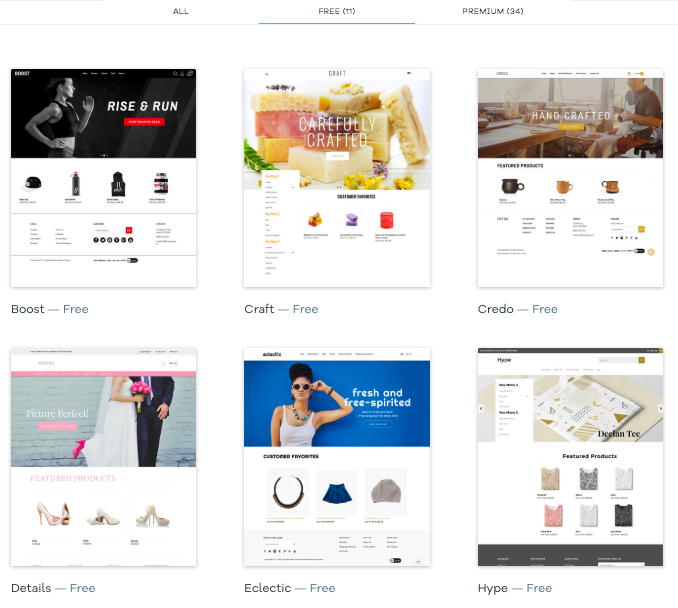 There’re both free and paid WooCommerce themes that are very customizable. So you can do anything your business needs according to your skills and wishes. There’s a range of customer and admin accounts with different rights. Guest check-out for customers with no account is also available. WooCommerce provides plenty of analytic tools. These tools help you easily measure your sales, customer statistics, whatever. 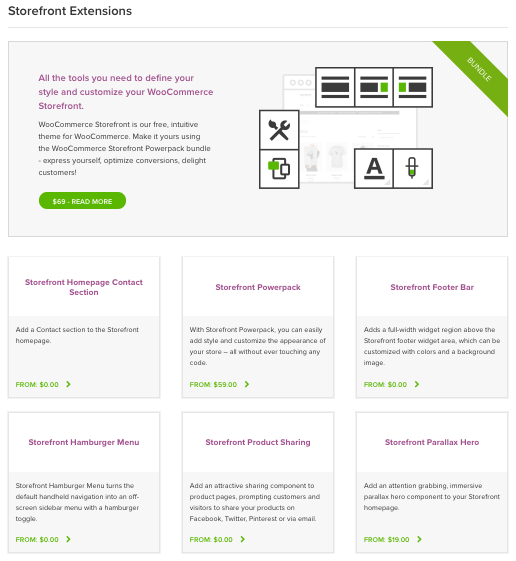 A lot of tools are built into WooCommerce. Or you can just connect your website with your Google Analytics Account. WooCommerce doesn’t charge any fees. The only fee you pay at Woo is your yearly subscription fee for the shopping extension. It’s normally only the payment gateway you use that charges a fee per transaction, and fees vary by gateway. You can find rates on their sites to make the best choice for your shop. You can start with the pre-installed version but the setup process can be tricky for a non-techie. Themes, plugins, and hosting come with different support channels, so it’ll be tricky to get the answers to all your questions in a single place. WordPress and WooCommerce are free of charge. There are various themes and plugins available but it’s likely that not all of them will meet your requirements. If you want to customize the site according to your requirements, it will take you a good bit of time and money. When updating your content through the visual tab, it doesn’t always look the way it should in the actual browser. So you do need to have skills with HTML to avoid such problems. 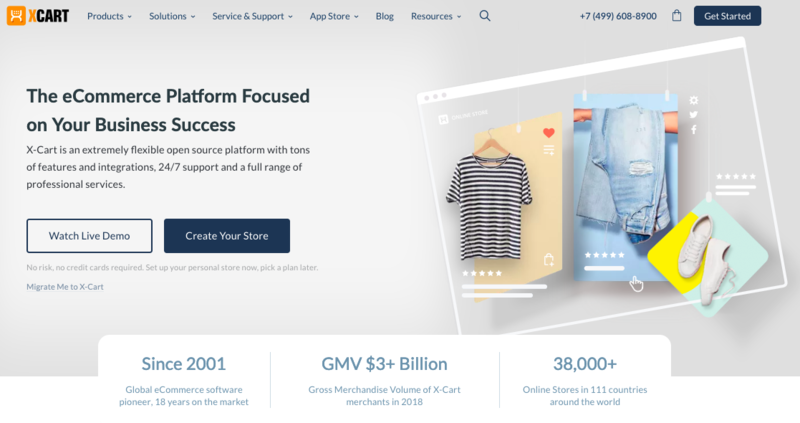 Shopify is a cloud-based SaaS (Software as a service) e-commerce platform. You can start your online business using this solution. It offers a full-service e-commerce system with monthly payment plans and a management panel where you can add your products and process your orders. A free 14-day trial is available. Shopify is a hosted platform that can be set up in a matter of a couple of clicks as it’s made for non-techies. It also has an easy-to-use interface. Phone, email or live chat – contact support team in any way you prefer. But you have to pay first. There’s also a Help Centre where all the popular questions are already answered. 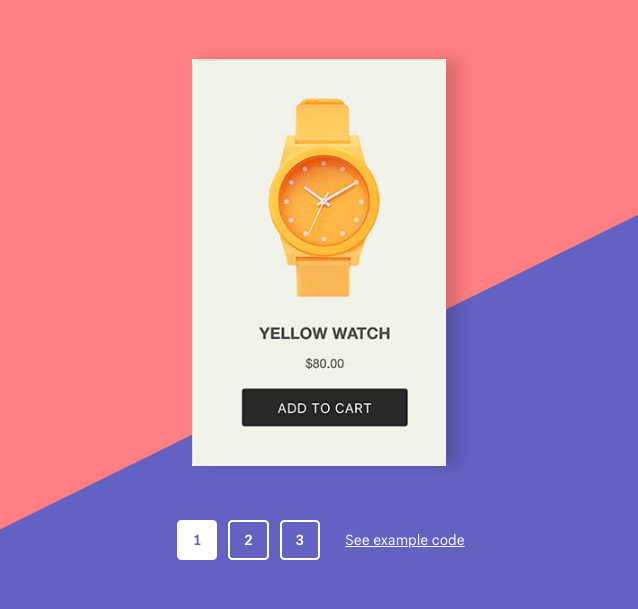 A “Buy Button” allows you to sell products on an existing website. A Shopify store comes with a built-in blog. There are iOS and Android apps to manage your store on the go. 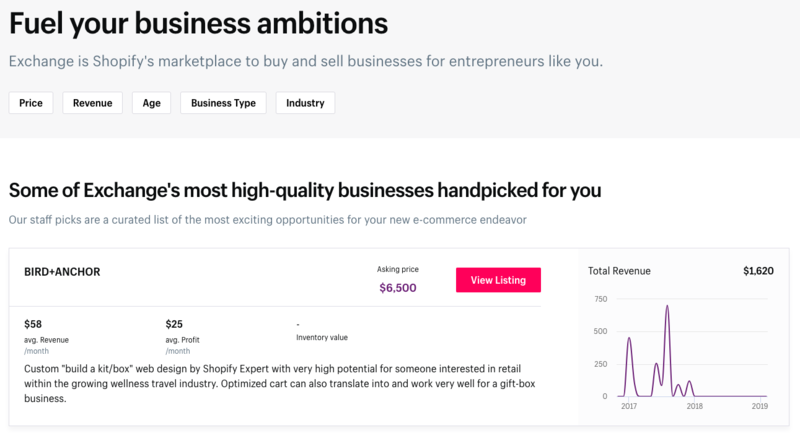 You can buy an existing Shopify business on Shopify’s Exchange Marketplace. 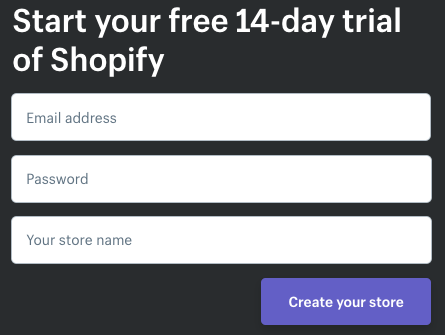 Shopify offers 14 days of demo period. So that you can test the software and see if it the right one for your business. For “Advanced Shopify” transaction fees are 0.5%. To extend the functionality of your store you might use apps. You’ll find them in the Shopify App Store. 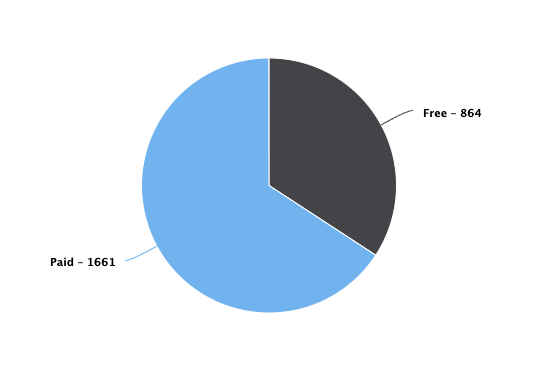 Around one-third of Shopify apps are free, two-thirds are paid. For some of the Shopify apps you pay once, for others there’s a monthly fee. The more functions an app has, the more it costs – it’s a rule. The analysis from ASoft shows that the median price of an app is $7, and the average price is $29.06. Shopify Payments is a way to accept payments online. Using it you don’t have to set up a third-party payment provider. Shopify Payments is integrated with your store and includes functions that let you manage your business and financials in one place. It doesn’t support multiple languages, which might become a problem for a lot of businesses especially if they sell overseas. Sometimes, images are uploaded with wrong proportions, random even. 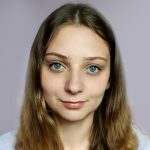 So experienced Shopify users crop every image before uploading it to Shopify. Magento is an open source self-hosted e-commerce solution. Magento offers powerful marketing, SEO, and catalog-management tools. 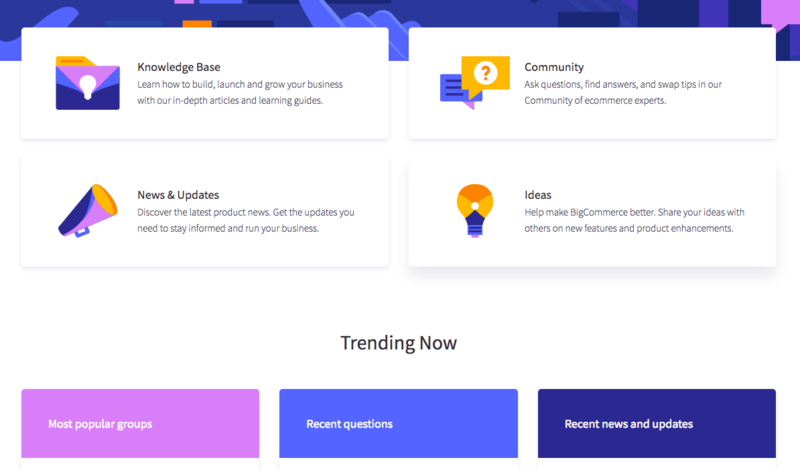 It’s a SaaS-based system and a feature-rich eCommerce platform with a huge developer community. Magento Pricing: Why Such a Wide Range? How Much Does Magento Cost? The Community (free) version boasts features not commonly available in other solutions such as the ability to manage multiple storefronts, multi-language and multi-currency support and mobile-friendliness. The admin area is user-friendly. A simple back-end with easy maintenance. The community version is free. A community of users who have developed many plugins can be helpful in answering your questions and providing you with valuable tips. You can find developers, designers, and tech support there, too. Magento’s architecture allows you to customize pretty everything, so your store can be right the way you want it. The platform is open-source so you have full control over the code to develop the functionality the way you need and like. As previously mentioned, Magento is built to scale so whether you’re selling 10 products or 10,000, Magento can handle it. 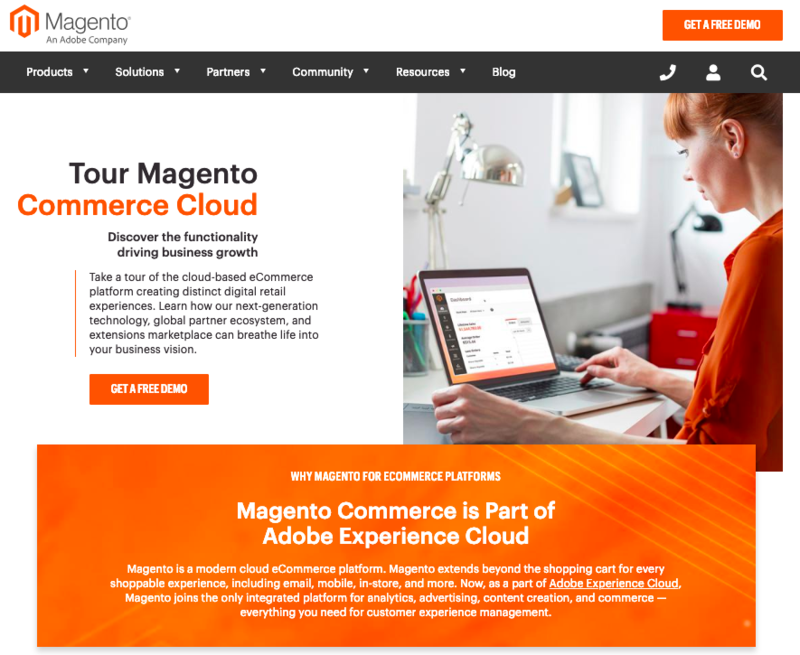 Magento is free, so you can just easily download it from the web (that won’t work for Magento’s Enterprise version). Magento supports multiple storefronts, multi-languages and multi-currency. Magento is designed to be Search engine friendly. No (for CE – Community Edition) or poor (for EE – Enterprise Edition) support by the vendor — they resolve only the core issues and will not investigate if something goes wrong with a 3rd party code. You’ll also have to find developers and designers yourself. Slow fixes of the bugs in the CE. Enterprise edition may cost you a fortune. No kidding. Server requirements are not met by every hosting, especially if you expect your store to load fast. Shared hosting won’t work. It’s tricky to find a decent Magento developer. Magento is an extremely large system (over 20,000 files and 200 database tables) so it requires an experienced developer. Community version is free but if you need support team service for sure. The Enterprise version starts at $22,000.00 – $125,000 per year and the Premium Enterprise version starts at $40,000.00 – $190,000 per year. Good Magento developers are often much pricier than the average ones. I have to say that you won’t find pricing on the website. You have to go to forums and collect the information yourself. Running Magento on normal shared hosting will be the reason for negative user experience. You should find providers who specialize in Magento hosting. Be prepared to spend more time and money on Magento than on any other eCommerce solution. 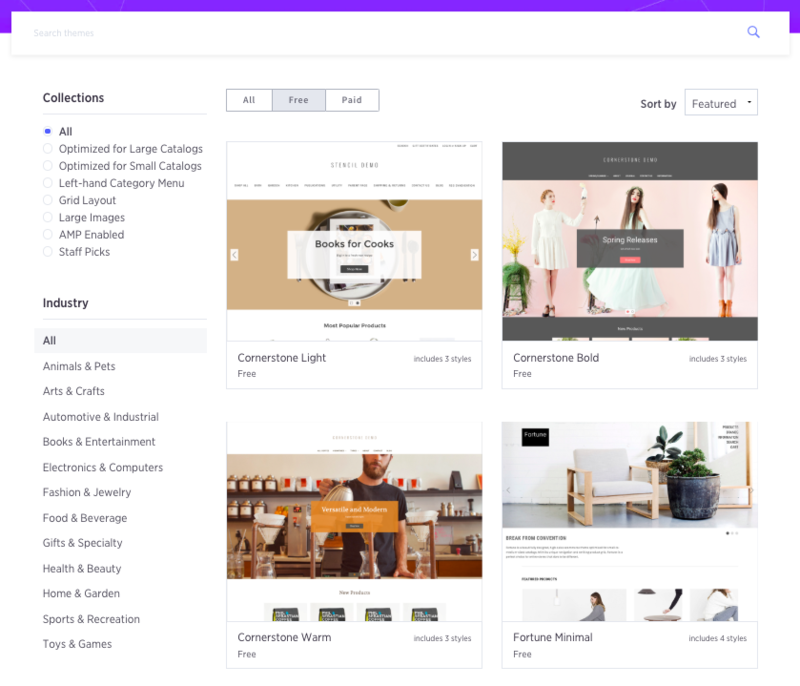 Wix is a cloud-based e-Commerce website builder that provides templates so you can get started easily. 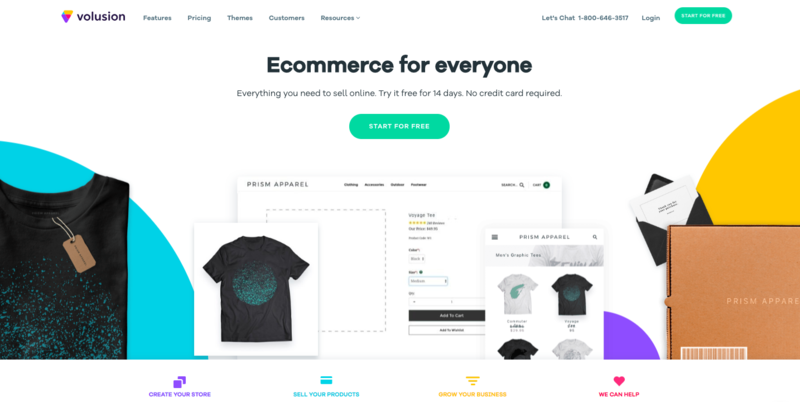 It doesn’t require any coding skills to create a Wix online store. So everyone will find a template they like. And all the templates are customizable, so you can add something yourself to make your store look absolutely unique. Remember you need some tech skills. I’ve tried it a little and yep, that’s true what they say: Wix is easy to use and it allows you to create your perfect web design if you can not code and you don’t have graphic design skills (I can’t code and have no designer skills). Let’s start with what a Wix ADI is. 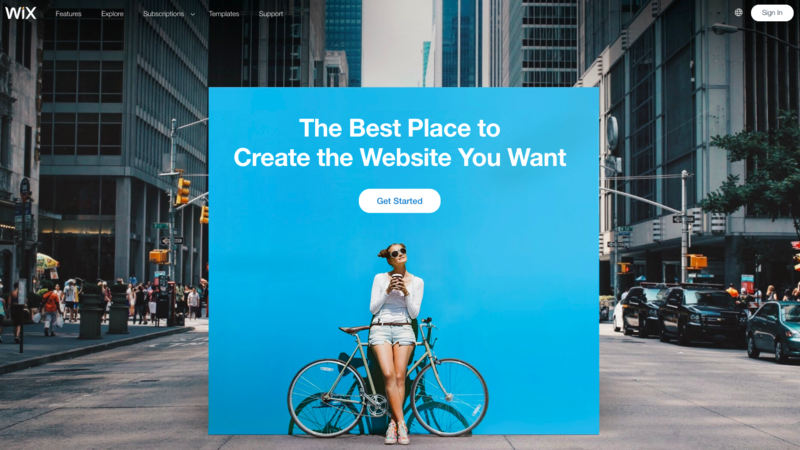 As they say on their website, Wix Artificial Design Intelligence (ADI) is the first-ever artificial intelligence that designs a site for you. Wix ADI learns about you and applies this knowledge to create the perfect site for your needs. Wix ADI selects the most stunning just for you; creating a one-of-a-kind free site. “Basic feature” customers can get the payments limited by $300/mo. As for Wix’ premium plans, accepting online payments has no limits. Wix accepts payments via “Online store” feature. You can use an existing PayPal account to proceed with payments. 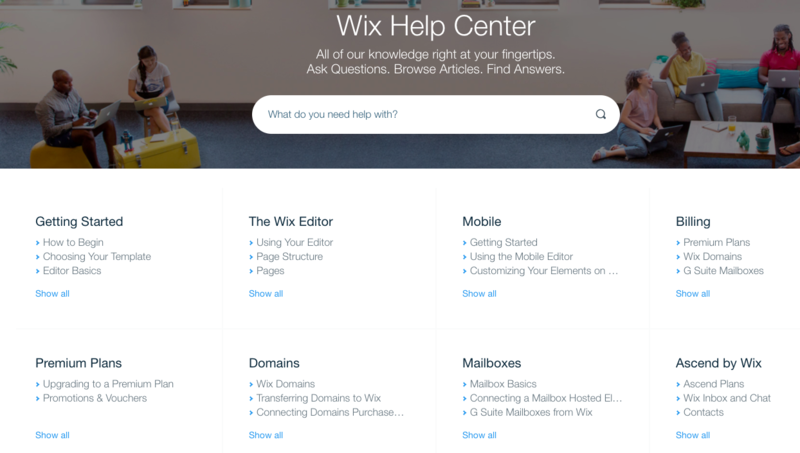 Wix Help Center is well categorized, everything looks clear to me. 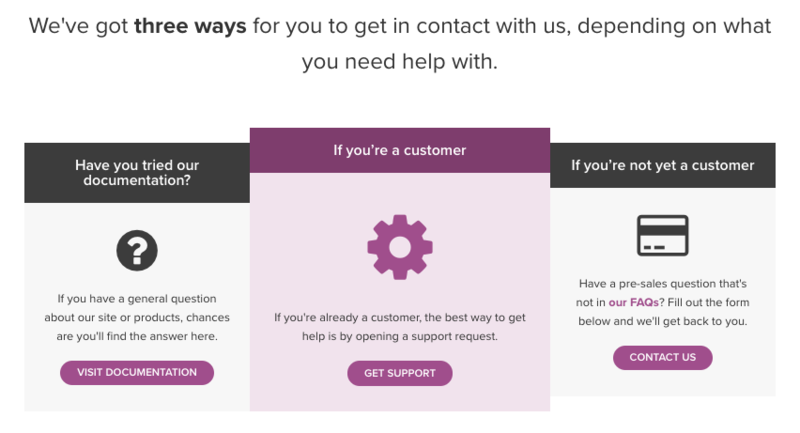 You can find the answer yourself, request a call or create a ticket, and the support team will contact you. But remember that you’ll have to wait if you contact the team out of their working hours. You can request a call and place a ticket but there’s no live chat available. 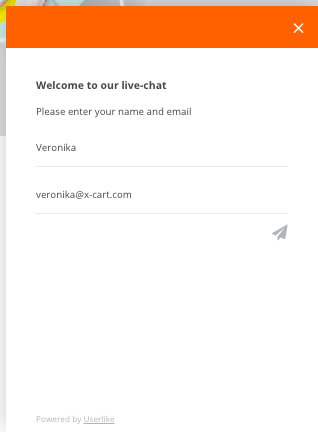 Yep, eCommerce websites without live chats still exist. You can not just change your template and keep the same website, you’ll have to build a new website from scratch. So think twice before choosing a template. Changing it might take you more time and efforts than you could expect. Users report on issues too often. But if SEO is essential to your long-term marketing strategy or you work with a SEO professional, Wix will be an impediment. As it is said on the official Wix website, your Wix site and all of its contents are hosted exclusively on Wix’s servers, and cannot be exported elsewhere. It is not possible to export or embed files, pages or sites, created using the Wix Editor or ADI, to another external destination or host. Think about it before choosing Wix as a shopping platform. X-Cart is a PHP open source shopping cart platform, a self-hosted e-Commerce solution. X-Cart is perfect for your business, no matter if you already have a brick-and-mortar store or an online store on another platform and you want to migrate to X-Cart. We can do everything. When someone is writing a review on X-Cart, it’s usually mistakenly said that we provide monthly plans. We don’t. And we don’t charge any transaction fees, either. We’re probably the only ones out there selling licenses, it’s a one-time purchase, and you don’t have to pay any monthly fees or renew it every year. You buy it just once. Yes, that simple. The Ultimate package offers all the top features and top support, and it’ll cost you $5,995. No transaction fees are taken. We sell software, that’s true. But we also can provide our clients with awesome 24/7 support, hosting, we help with web design and web development, migration, catalog management, SEO audit, optimisation, domain name registration, SSL certificates, you name it. X-Cart is the only one PCI DSS compliant eCommerce platform that can be used on a third party hosting. X‑Cart support team is available via email, chat or phone, day and night, 24 hours a day, 7 days a week, both free and paid plans are available. Our support team’s response time is up to 30 min, it includes unlimited requests, phone and chat support, and some other features. Urgent help is available, too. And there are several ways to reach out: email, phone (toll- free), HelpDesk, or live chat right on the website. Our clients always say that one of the reasons to stay with X-Cart is our support team that helps really quickly. “Working with X‑Cart for years and I haven’t regret it once. I can write a long text about what, why and how but in two words: excellent choice! You get the professional support without any fuss.” Philippe Vangeel at ‘Stirax’. 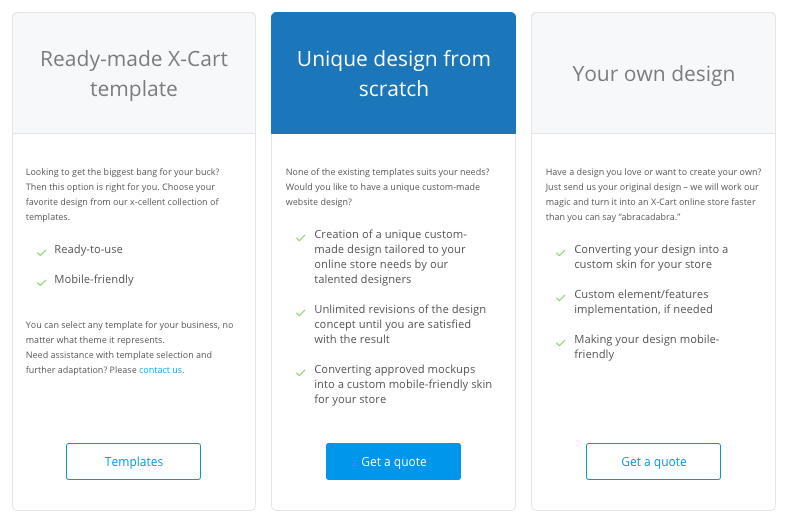 With X-Cart you can create any store you like – it’s fully open source. You can code yourself or ask our professional team to do it for you. Here’s an awesome example of how a redesign boosted eCommerce sales. An X-Cart license will cost you like a dozen tanks of gas for a small car (our Business plan, $495), and that’s it. No monthly plans or transactions fees. 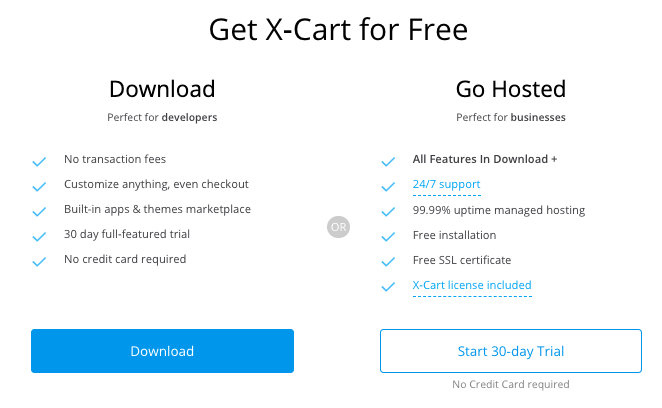 X-Cart is a self-hosted eCommerce solution so you can host it anywhere. You don’t have to look for hosting yourself though. We provide our own hosting, it works best for X-Cart stores. The servers are trimmed for online businesses, so we can guarantee your store will work smoothly and faster than ever. X-Cart offers assistance in migrating your data to X-Cart. Just pick your current platform, and we’ll do all the job for you. During the whole migration process, your website will be up and running so you won’t lose your revenue. Here, at X-Cart, we offer a 30-day free trial to give you an opportunity to test it. X-Cart provides over 80 eye-catching adaptive themes, 5 of them are free. If you don’t want to spend your money on a template or you want to customize it (all of the themes are customizable) – a free theme is the perfect choice for you. You may also want to use our webmaster mode that doesn’t require html skills. Or our professional design team can create your perfect design from scratch. X-Cart has clients all over the world, so X-Cart supports multiple languages, currencies, weight formats, that’s what makes our e-commerce solution so universal. We can even enable RTL support. X-Cart has integrated with 120+ payment gateways, all done in accordance with PCI compliance requirements. We have developed our own software for extra secure payment processing. X-Payments is a PCI Level 1 Certified solution that works as intermediary between the shopping cart and payment gateways and 3D-secure systems. X-Cart is SEO friendly so you shouldn’t worry about that. We also offer tools for SEO optimization. That’s true, to customize your store you should be able to code (btw, we can teach you to code to improve your store yourself). Or ask our team to do the job for you. Nobody will do it better. X-Cart free version doesn’t provide you with all the possible features – only with the most important ones, which is enough to have a fully-functional online store if you don’t have any special requirements. The support service is commercial-based. However, we do our best to help every X-Cart user even if they do not have an active support plan. The response time and solution are not guaranteed though in this case. Anyway, you can try our forum – you can get all the answers for free there. To get your X-Cart store up and running you shouldn’t use free hosting. It might not work as intended there and, which is extremely important, it’s not secure. It’s easy to steal your data. As an eCommerce store owner, you should care about your clients’ data, don’t you? And using cheap shared hostings is not the best option, either. If you’re reading these lines then you’ve read the whole post (hooray!) but… I’ve got one more little table in store for you. I’ve collected the most important information for you to compare the best e-commerce website builders and see which one is your perfect match. When creating a store, remember that besides domain, hosting, payment gateways you should pay your attention to marketing tools and content management systems that a platform offers. Now that you know about the most important things you should care about when starting your online business, I bet there will be no problem in finding your e-Commerce website builder. Veronika creates content at X-Cart. She adores writing since her childhood. She loves traveling, climbing, and cooking.